Pioneers in the industry, we offer rubber bellows expansion joint, bridge rubber expansion joint, industrial rubber expansion joint, flange type rubber expansion joint and rubber expansion joint from India. 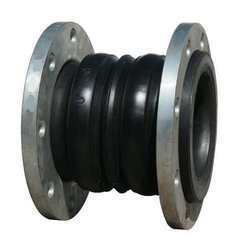 Since our inception, we have been successfully offering Rubber Bellows Expansion Joint. These joints are manufactured at our state-of-the-art unit, using quality-approved carbon steel. As per industry standards, our offered joints are delivered to customers within the stipulated time frame with the help of our wide distribution network. 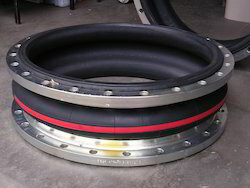 We are one of the accredited organizations of a premium range of Bridge Rubber Expansion Joint. These joints are made using quality material and modern technology to assure that final output meets with international quality standards. Further, we pack our joints using premium-packaging material to assure safety during transportation. 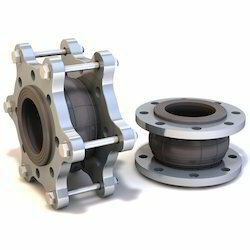 Owing to our vast experience, we have been successful in catering to the requirements of our esteemed clients by offering quality Industrial Rubber Expansion Joint. All the offered bellows are designed as per international quality standards, using quality material and latest technology. Our bellows can also be customized as per the specifications laid down by the patrons. 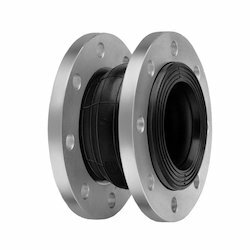 We are engaged in the manufacture, of a broad array of Flange Type Rubber Expansion Joint that is made by using high-end technologies in modern manufacturing facilities from premium grades of rubber. It is designed for reliable absorption of mechanical as well as thermal features in piping systems. These have an excellent flexibility that is retained for long period of time. 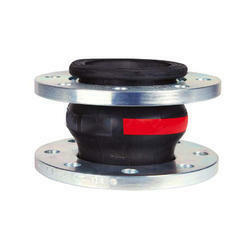 We are a trusted name in offering Rubber Expansion Joint. Our offered products are made in accordance with international quality norms, utilizing premium-quality rubber. All these products are provided to patrons in different sizes, designs and shapes at market leading prices.